Nathan Sivin. Comparing Greek and Chinese Philosophy and Science. Nathan Sivin. The Theoretical Background of Laboratory Alchemy. Nathan Sivin. Selected, annotated bibliography of the history of Chinese science and medicine sources in Western languages. S. Mahdihassan. Tan, Cinnabar, as Drug of Longevity Prior to Alchemy. R. B. Jefferson The Doctrine of the Elixir. 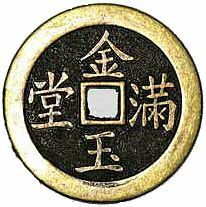 Viswiki article on Chinese alchemy.